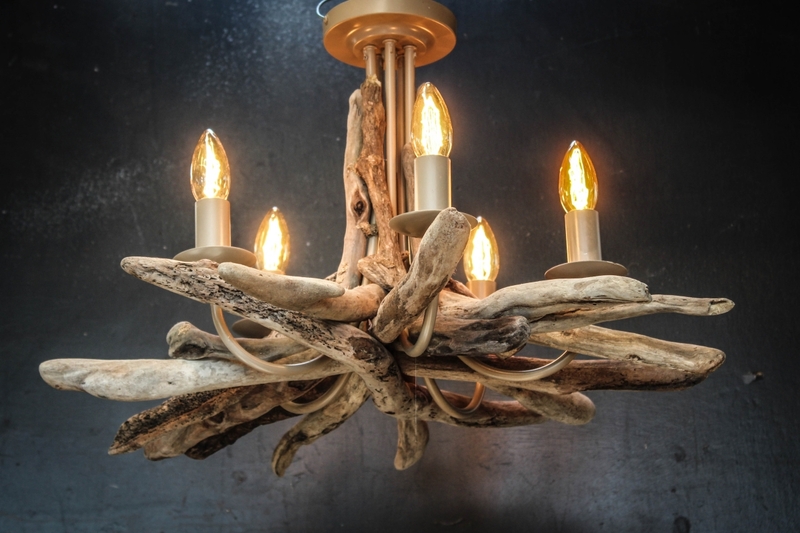 5 light driftwood Large chunky chandelier, drop approx 39cm.x Diameter approx. 60cm. Takes up to 60w bulbs. Energy saver available for this light fitting.Takes small Edison screw bulbs E14 I can make these to order, please contact me if you like more than one, or a specific size.